Many people mistakenly believe their family will be able to quickly access their superannuation fund or life insurance policy when in fact the claims process for these can take weeks or even months. Therefore unless your family can quickly access the funds needed to pay for your funeral the answer is that you probably do need to make some financial preparations. But you do need to be careful how you do it. This might be obvious to many people however not everyone appreciates that funeral insurance is a risk product. This means the insurer bets that you will not die before they have recouped sufficient premiums from you to pay not only for your policy but also for others for which they have made a loss – and then of course in many cases they need to make a healthy profit for their shareholders. Therefore if you join a fund that has many elderly clients you can bet your life (excuse the pun) that you will be paying plenty towards subsidising your fellow insured. So be wary of those funeral insurers that target retirees – you know the ones that advertise non-stop on day time television. 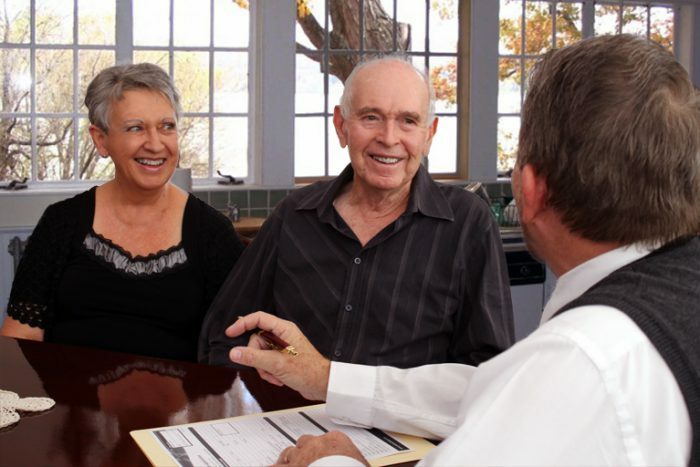 If you are a retiree you can be far better off starting a savings program in a funeral bond. With a funeral bond your savings accumulate with bonuses (grow) that are normally credited annually. As you get older the risk to the funeral insurer also rises. Therefore with many funds the premiums will also increase. With one well known funeral plan for instance the weekly premium for a $10,000 policy at age 60 for a male is $11.24 – this is no doubt pretty manageable for most people. But what is not always clear is that by age 65 the weekly premium will be $15.10 and age 75 it will be $26.85. This difficulty many people face is very often compounded because at the same time their premiums are rising their income is actually dropping as they draw down on their investments. With many funeral insurance plans the premiums are payable until age 90 and the premiums will normally increase as you get older. This means you can end up paying total premiums of 3-4 times your final funeral benefit. 5. What will happen if I cannot afford to pay my premiums? If you stop paying your premiums for whatever reason, or even in some cases miss paying them for 60 days, your policy can be cancelled. If your policy is cancelled (lapsed) you will not receive a refund of any of the premiums you have paid – you will have no funeral benefit. If you are 55 or less funeral insurance can be a really viable option for you – but get on and organise it before it is too late. The longer you wait the more it will cost you in the long run – guaranteed. There are various funds who offer comprehensive lifetime cover for which premiums are fixed (do not increase) and are payable only until age 60 – but remember you must apply before age 56. If you are older than 55 you may be better off to consider a funeral bond as you could end up paying 3-4 times your funeral benefit with funeral insurance – or worse of all, end up with no cover at all.